Occasionally, the skills developed through training may be demonstrated through the breaking of solid objects such as wooden boards or bricks. Here the student must overcome their fear of striking a solid object as well as using correct technique, speed and accuracy. 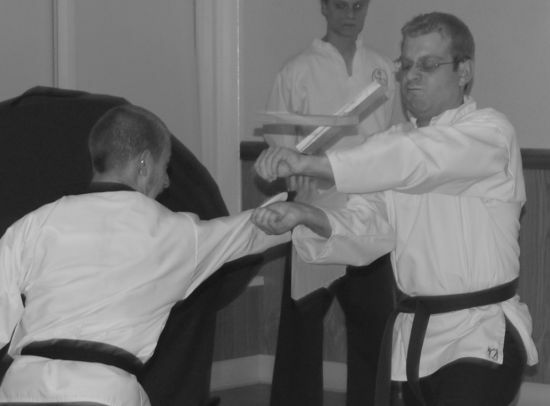 Breaking is performed under strict supervision and techniques are carefully chosen to reduce the risk of any injury. Martial arts artist Birmingham West Midlands Brum Bham; Halesowen, Bearwood smethwick Acocks Bartley Green Aston. Birchfield Bordesley Bournbrook Bournville Bromford. Camp Cannon Hill Castle Vale Cotteridge Digbeth Druids Duddeston, Edgbaston Erdington. Garretts Gravelly Hill, Great Barr, Kitts Hall Green. Handsworth Halesowen Harborne, Hockley Hodge Kings Heath Norton, Kingstanding Ladywood Longbridge Moseley Northfield Perry Barr Quinton Rowley netherton blackheath cradley heath Saltley, Selly Oak Park Shard End Sheldon Short Small Heath Sparkbrook Sparkhill Stechford Stirchley Stockland Green Walmley. Warley Warstock, Washwood Heath. Weoley Castle, Wylde Green, Yardley Wood Oldbury Dudley Bromwich: Kickboxing Karate do Kung-fu, Self Defence Defense, marshall Classes lessons clubs Expert instructor tuition qualified film TV Childrens adults kids female ladies womens. Safe quality traditional Effective. PT private personal trainer, one to one fitness. Bradford Brighton and Hove, Bristol. Cambridge Coventry Derby Gloucester Hereford Hull Leeds Leicester, Lichfield Liverpool. London Manchester Newcastle Norwich Nottingham Oxford Peterborough Plymouth Portsmouth Sheffield Southampton Stoke-on-Trent Wolverhampton Worcester York. West Midlands. England Ireland Scotland Wales.